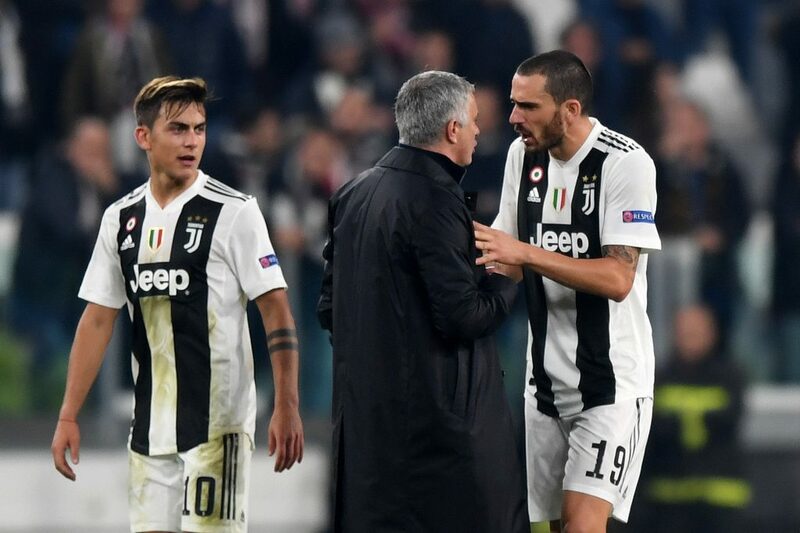 Jose Mourinho couldn't resist taunting the Juventus supporters in Turin after Manchester United recorded a comeback victory on Wednesday night. The United manager walked onto the pitch and cupped his ear, gesturing to the disgruntled fans. 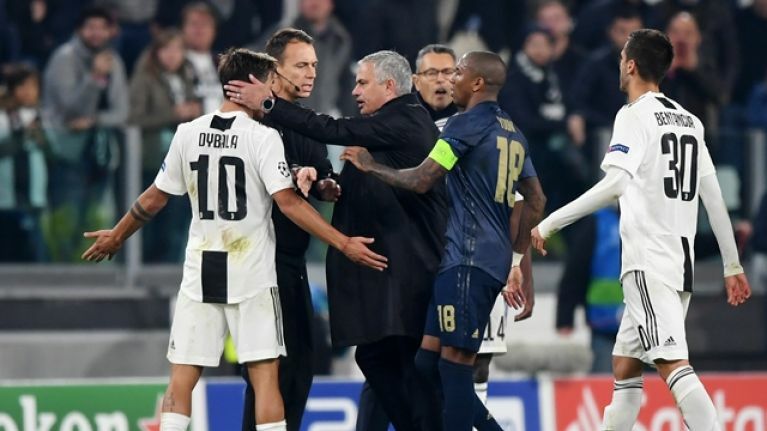 His actions didn't go down well with Juventus defender Leonardo Bonucci, who approached Mourinho and took exception to his goading of the Juve fans. Mourinho was escorted off the pitch by stewards but continued to taunt the spectators, who were left dumbfounded by the final five minutes of the match. Juventus had been in complete control of the tie. They took the lead through Cristiano Ronaldo after 65 minutes. 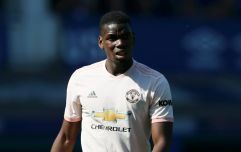 The former United forward smashed home a sensational shot past David de Gea after connecting perfectly with Bonucci's ball over the top. The Italian side looked to on course for a comfortable victory. However, Wojciech Szczesny then had a nightmare couple of minutes. His positioning for Juan Mata's excellent free-kick was suspect. The former Arsenal goalkeeper took a step to his left and was stranded as Mata floated the ball over the Juventus wall. United then won the game in stoppage time. Ashley Young whipped in a dangerous ball from another free-kick, which eventually hit off Alex Sandro and ended up in the Juventus net. However, once again Szczesny didn't cover himself in glory. If Juventus still had Gianluigi Buffon in goal, United probably wouldn't have got anything from this game. Instead, they had Szczesny flapping at the ball. Following the match, Paul Scholes took issue with Mourinho's goading of the Juventus fans. "You need to win with a bit of class," he said. "I don't think there is any need for that. Go over and clap the away fans. It is needless but that is just the way he is."